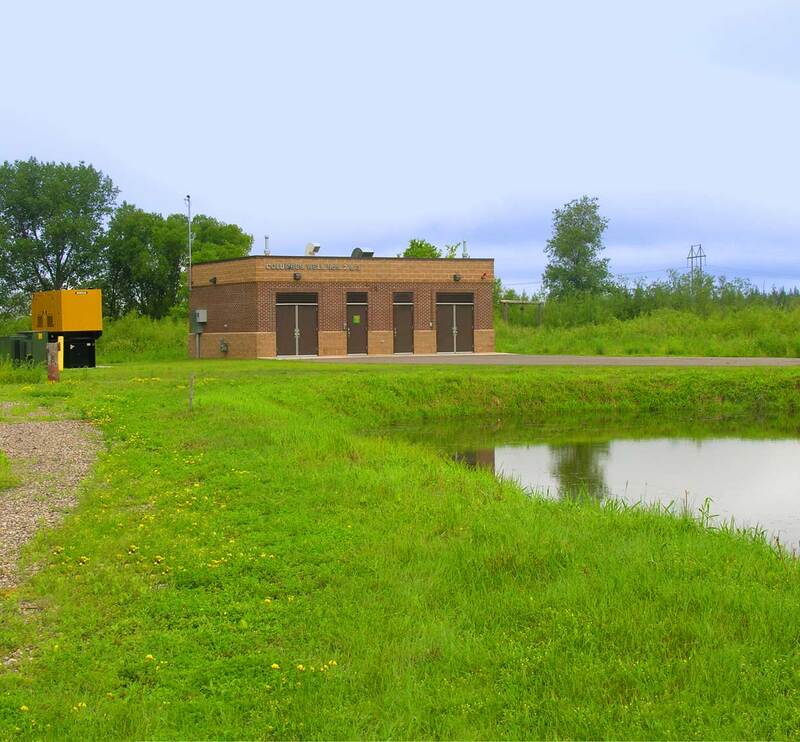 Because of increased water demand from commercial development, the City of Columbus commissioned TKDA to develop an additional 2,000 gpm of pumping capacity. In order to accomplish this, TKDA developed a plan to construct two wells on the single site. 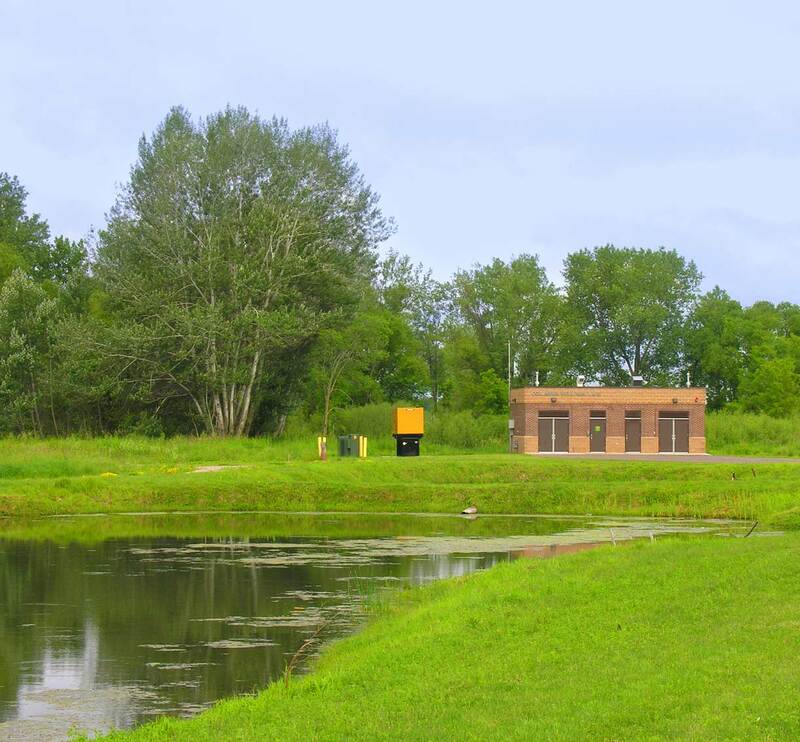 TKDA’s plan called for the construction of a 1,000 gpm drift well and a 1,000 gpm well into the Tunnel City Wonewoc Formation approximately 25 feet apart with a single brick and masonry pumphouse constructed over the two wells. 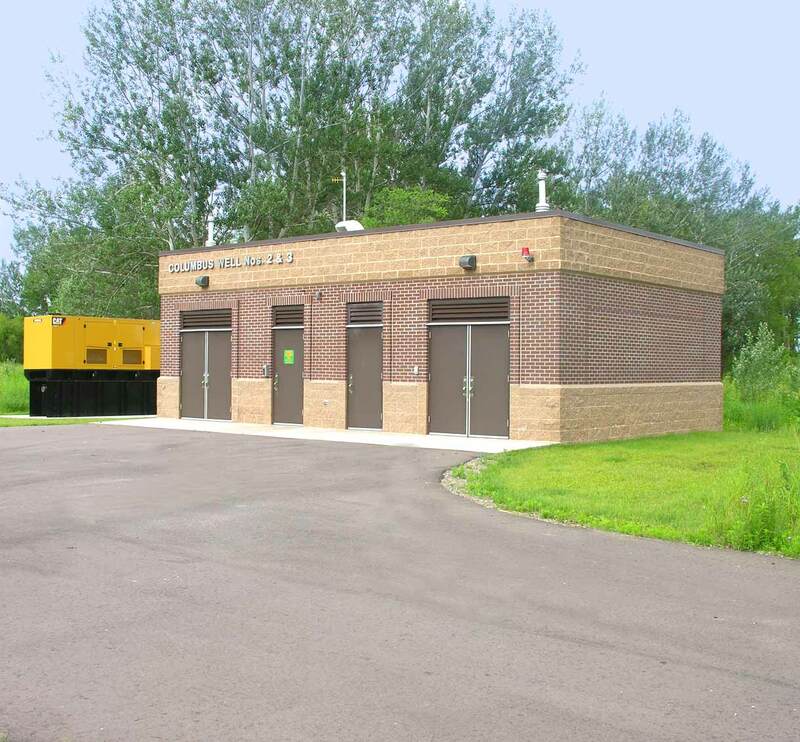 Since these wells also provided fire protection, a 250 kW diesel generator was permanently installed at the site. Electrical controls included variable frequency drives, transducer water level monitoring and automatic generator starting and transfer switch.